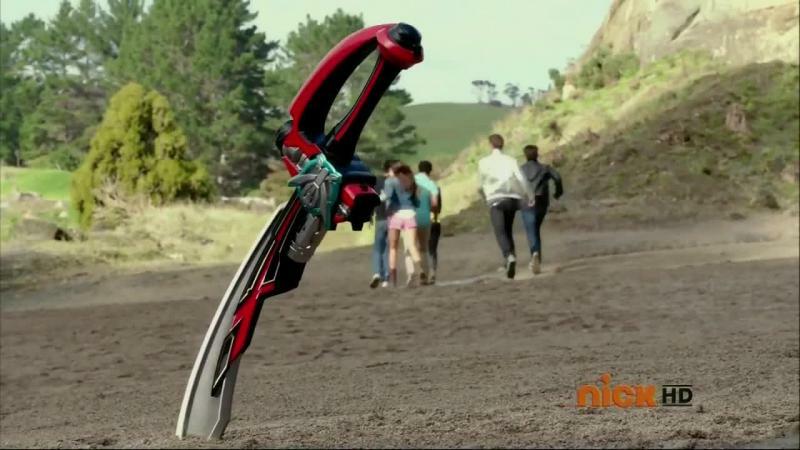 Recap: Power Rangers (Super) Megaforce, Episode (20) 40 – "It's really over!" The city is in chaos and ruins. People are injured and trapped everywhere. A man is trapped under a steel pillar, but it’s okay. 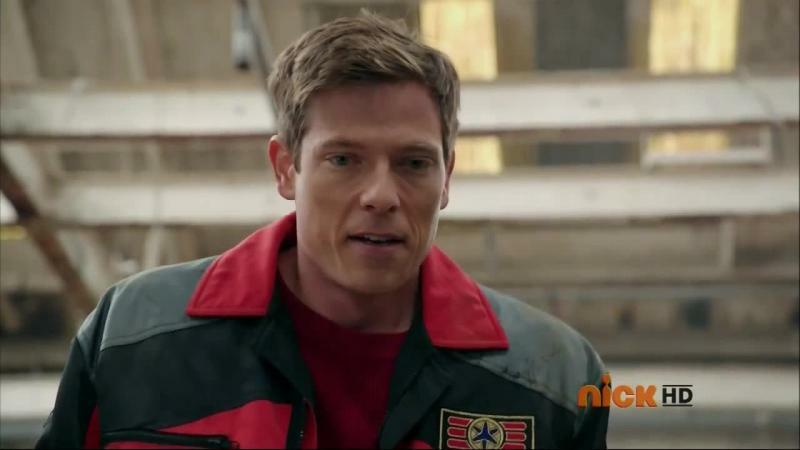 Lightspeed Rescue is doing their job and Carter and Dana arrive to help. A little boy named Danny has a dog trapped in rubble. But Leo is here to save him. People are trapped inside an elevator. But they are helped out from above by TJ and Cassie. Tommy dangerously jumps onto a teetering over the edge car. And a kid is trapped alone in a car about to fall off the bridge. Jumping down on the hood is Tommy with a white helmet flash. He uses Saba to pull him out. 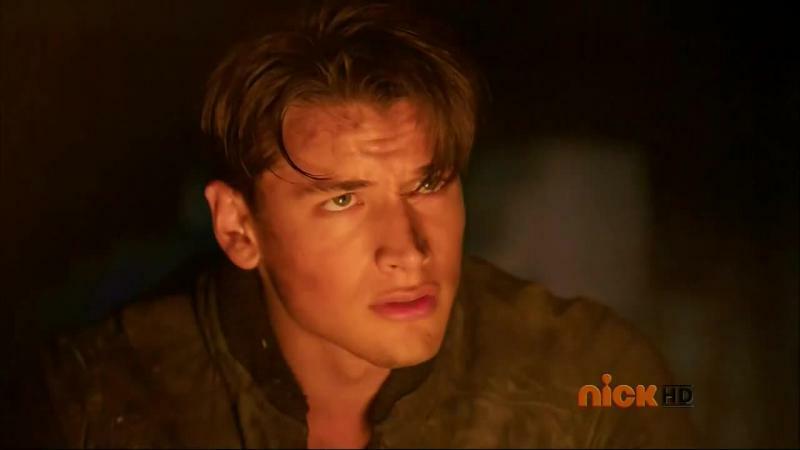 Meanwhile, the Megaforce Rangers are regaining consciousness. Night falls in Harwood County. 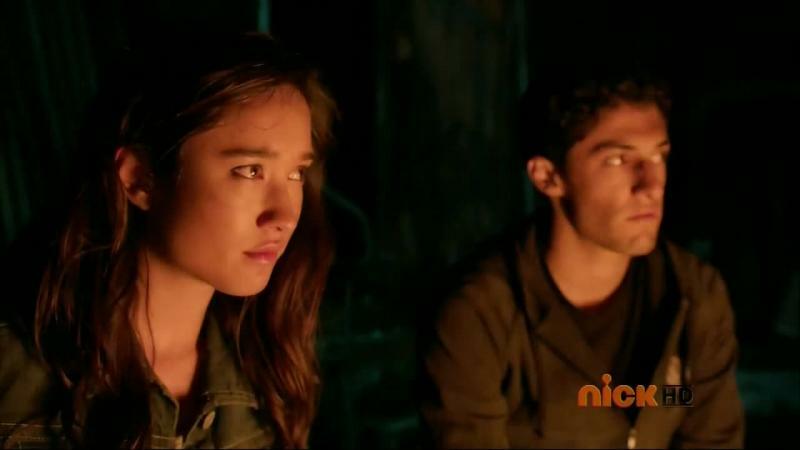 The survivors of the invasion are depressed and without hope, especially now that they think the Rangers are dead. Damon and Wes listen to their cries and run off. A mother assures her daughter the Rangers are still out there fighting for them. They’ve got to believe. Karone hears this and smiles. The Rangers feel hopeless themselves. But Troy says people still believe in them. 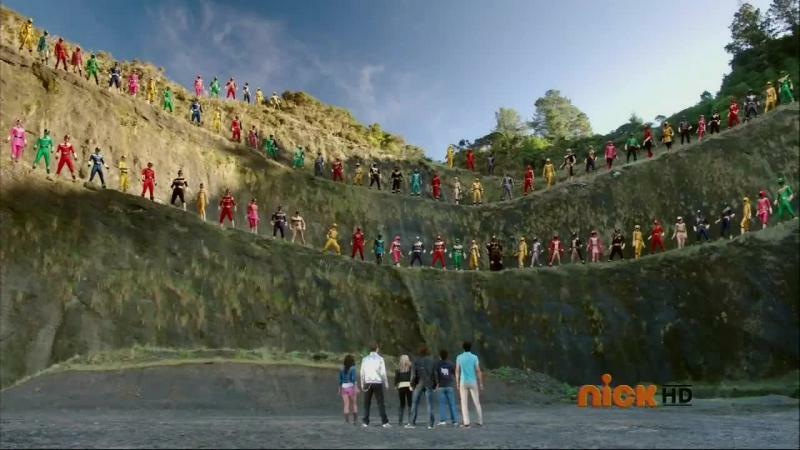 Gosei believes in them. The past Rangers believe in them. EVERYONE believes in them! Tomorrow morning, they will be there to stand tall, fight and WIN! Suddenly, they hear a huge crash. They go see and it is an Armada ship. But it’s okay, it’s only Orion. Orion asks what the plan is. Troy says they fight back. The sun rises and the survivors hear a huge army of X Borgs marching toward the city to kill them all. 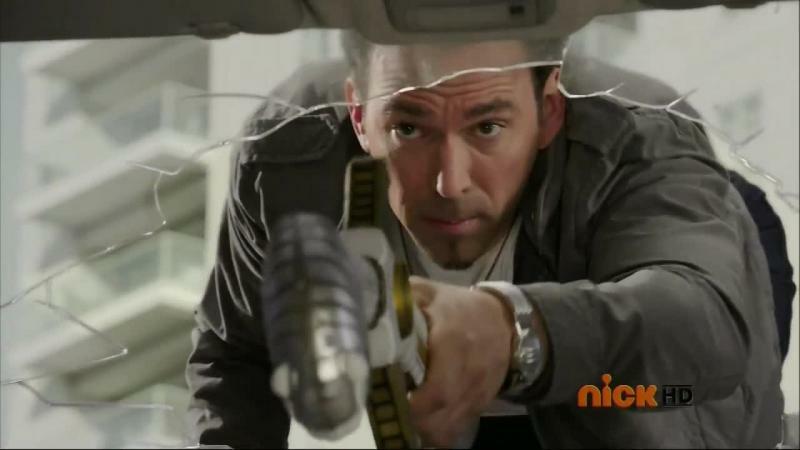 But before the X Borgs can open fire, the Rangers appear, already morphed. 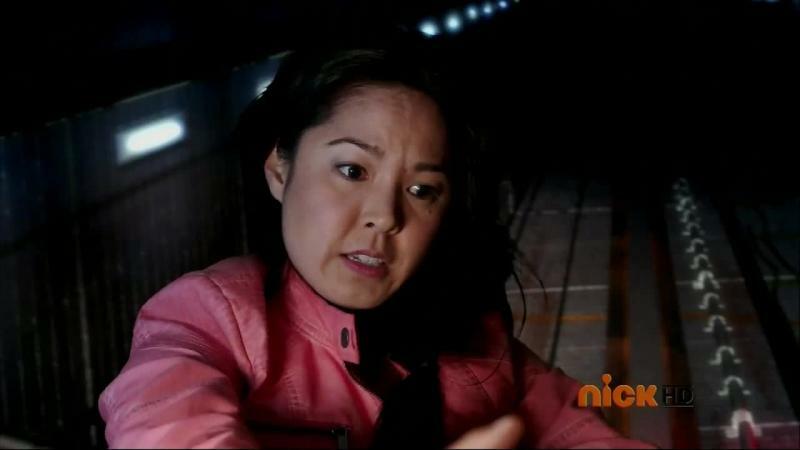 The Rangers tell the people to get to safety and they fight off the X Borgs. But another swarm of Armada ships arrive and attack. Troy decides on a “two man strike force.” He and Orion run through a cheering crowd to Orion’s ship. They fly toward the Armada command ship with shields up. But the shields fail once they get close and they crash right into the ship. They fight their way to the bridge of the ship to face Emperor Mavro. Mavro fights them off while sitting. But Orion goes gold and gets Mavro off of his throne. Troy sits at the control panel and uses the command ship to destroy the other Armada ships. 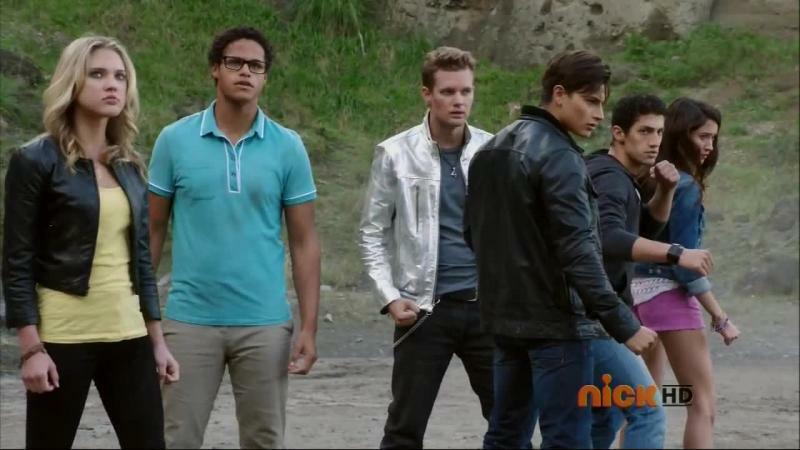 Redker is distracted and that allows the other four Megaforce Rangers the opening to kill him for good, even after getting forced to demorph. The fleet is gone, but Mavro will not give up. Troy and Orion do some trickery and blast the console to demobilize the ship before delivering a Super Mega Blast to kill Mavro for good. 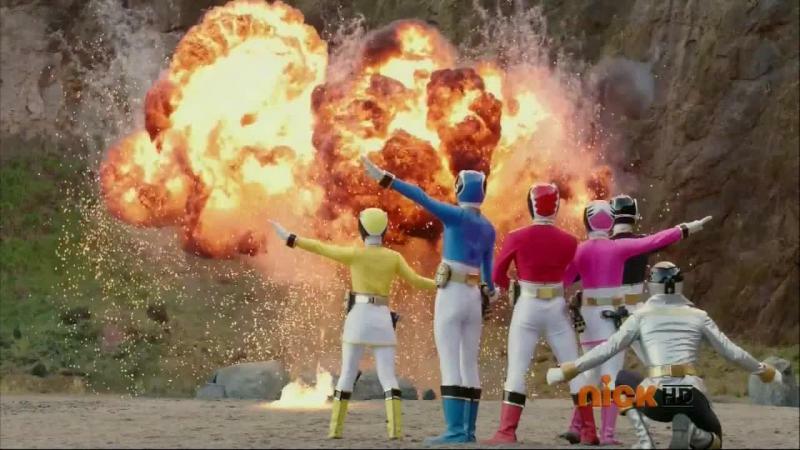 But the ship is freefalling and the other Rangers see it crashing and exploding. Noooo!!! But yes. It’s okay. Troy and Orion come flying in using Legendary In Space Galaxy Gliders to get them safely on the ground. Suddenly, a rustling up above them. They look. It’s Operation Overdrive! And Mighty Morphin! Zeo! Turbo! Lost Galaxy! Wild Force! DinoThunder! 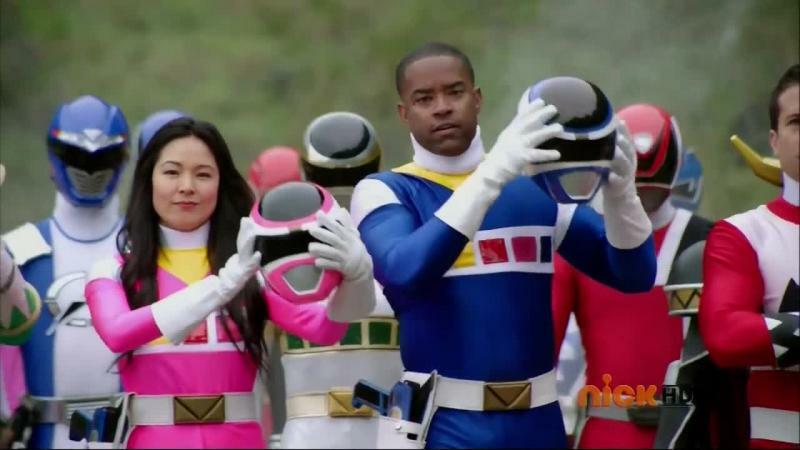 Lightspeed Rescue! Mystic Force! Jungle Fury! Ninja Storm! 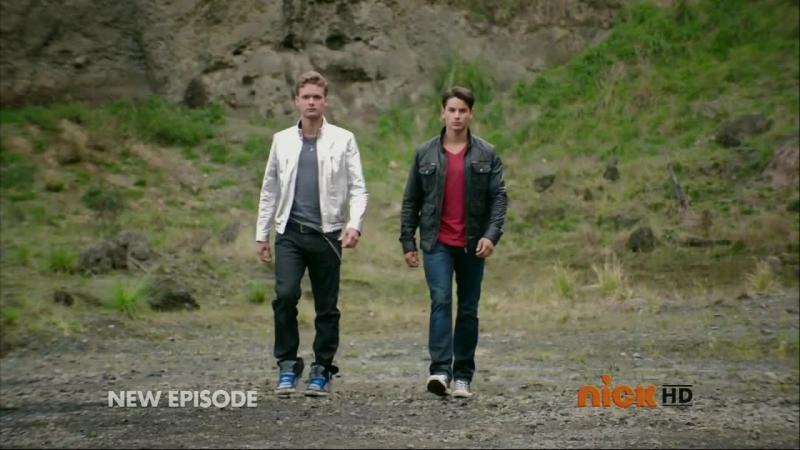 The Rangers come down from the cliffs and walk toward the Megaforce Rangers. A select few of them take off their helmets. Wes and Damon. Wes says they’ve lived up the legacy and they’re all very proud of them. Troy says it’s an honor to meet them. But Cassie says the honor is all theirs. She tells them to take the lead. 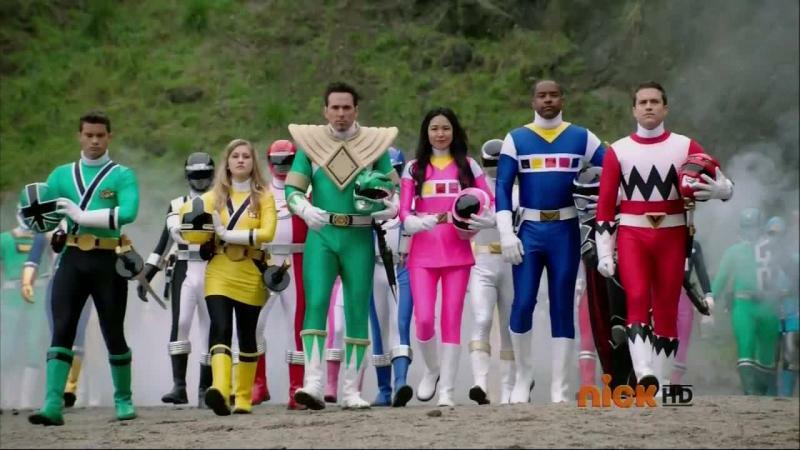 The Megaforce Rangers go regular Mega while the others put their helmets back on. 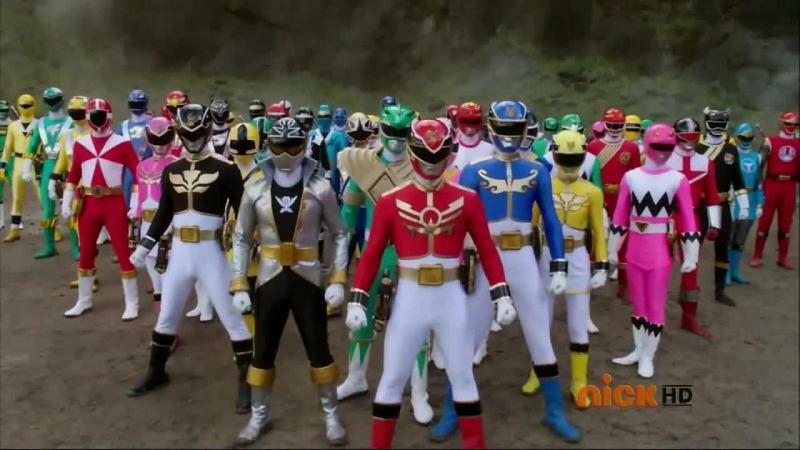 All the Legendary Rangers AND New Powers Rangers charge toward the huge army of X Borgs. Robo Knight pops in to help too. 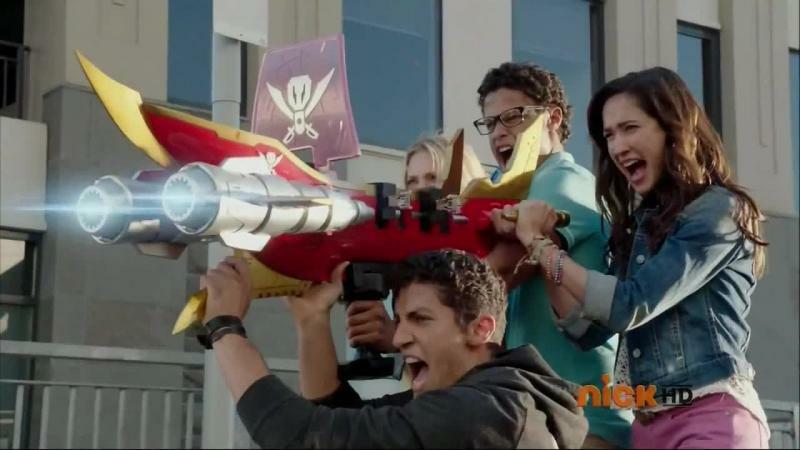 The Megaforce Rangers narrate the whole battle before using the Megaforce Blaster for a Dynamic Victory Charge to finish off the stragglers. 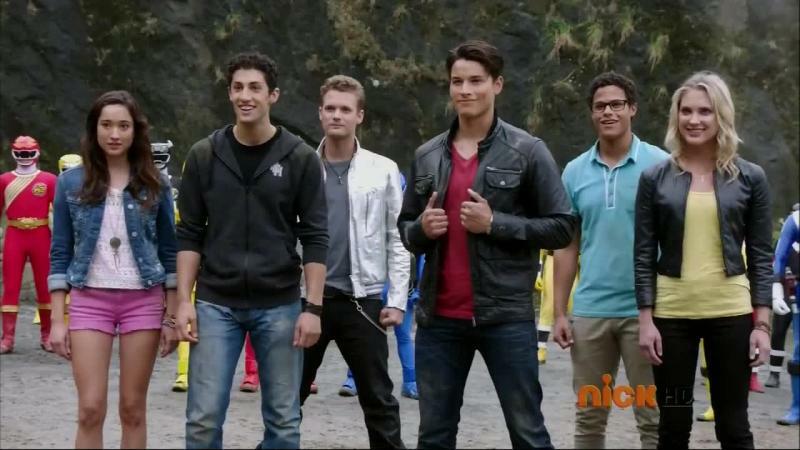 The Megaforce Rangers meet with Tommy who says it was an honor to fight by their side. But it’s time for them to leave. The Rangers reach to the sky and they disappear into the universe as keys. “It’s really over!” Orion exclaims. The Rangers collapse and lay in the quarry. They look at the sky. It’s blue. What happens now though? Troy says they go home. Gia kisses Jake and takes his arm. Troy takes his sword and sticks it in the ground. 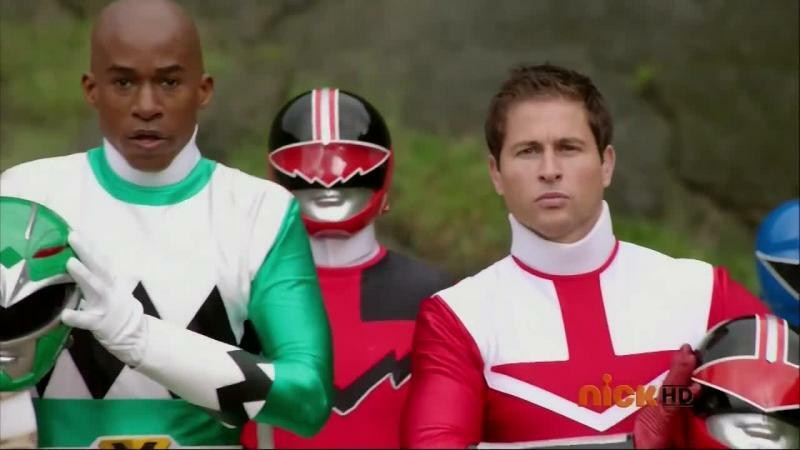 I think I’ll go watch “Forever Red” and “Once a Ranger” and all other team-ups (except the DT-SPD team-up, ewe) instead. Those were much more epic and “legendary” than this episode. Legendary Battle it wasn’t. 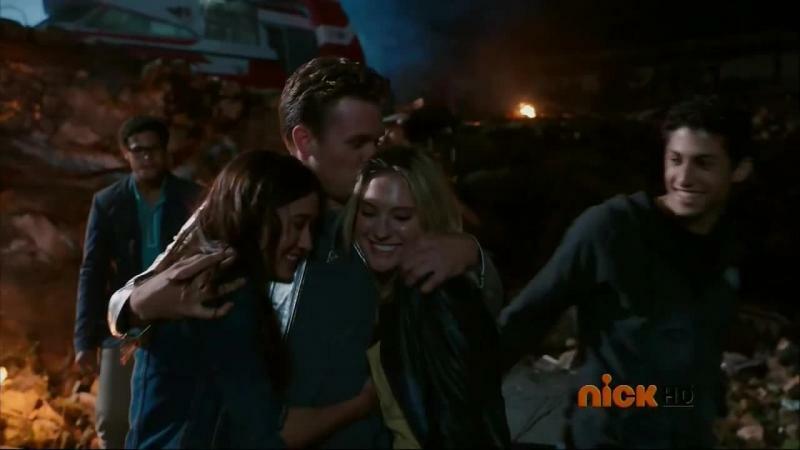 It was just them fighting X Borgs for goodness sakes. The final big bad was taken care of by cheap trickery, not even hand-to-hand combat at all. And while it was great to see some old faces, they were pretty much wasted. Not only was it just a random group of vets Saban was able to get together, half of them didn’t even speak. Now, I already watched this episode after it aired elsewhere in the world. 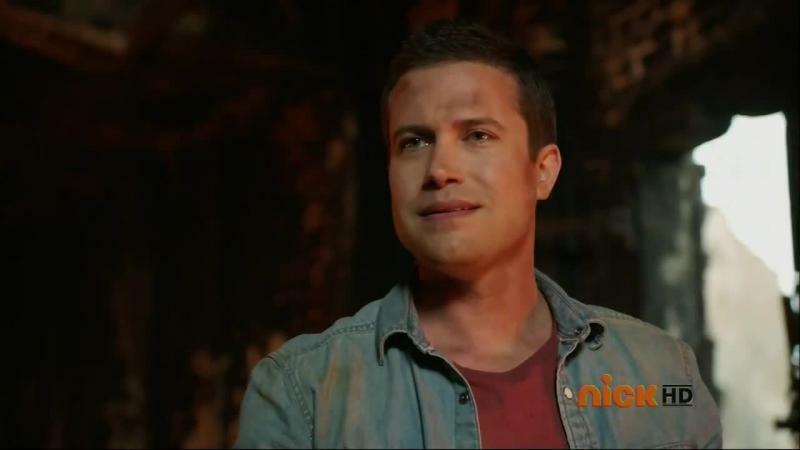 So I knew how absurd last week’s promo was touting Tommy as THE ultimate power they need to defeat the enemy. He was completely irrelevant to the actual battle. Not that the battle was anything much to begin with. 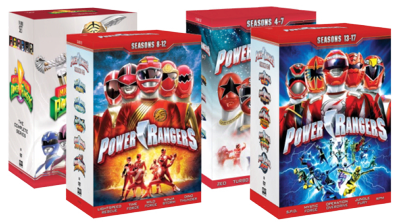 Plus, I’m definitely one of the many PR fans who are pretty much over all things Tommy and Jason David Frank. So it was still awesome to see Carter and Dana, Leo and Damon, TJ and Cassie and Wes. And that head turn by Karone. Now THAT was badass. But again, the randomness of why only these Rangers got to take their helmets off just continued the absurdity of this entire season. 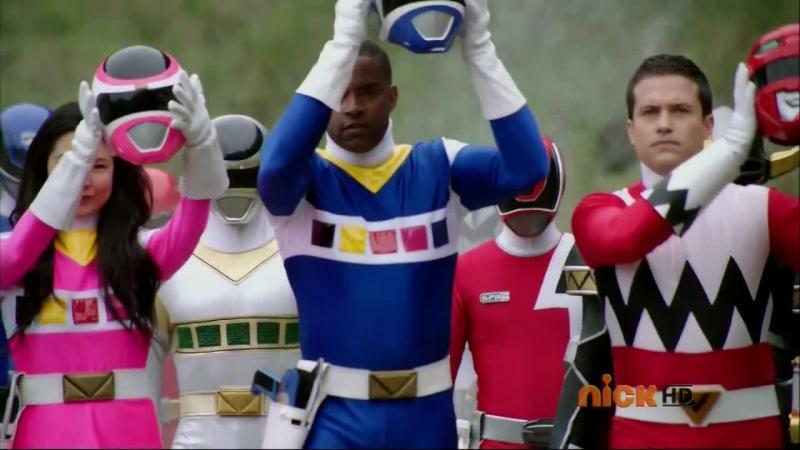 Just like the legendary Rangers turning into keys spread out across the universe. Okay. And what about that ending?! We didn’t see Ernie or Mr. Burley ever again. OMG are they dead?! 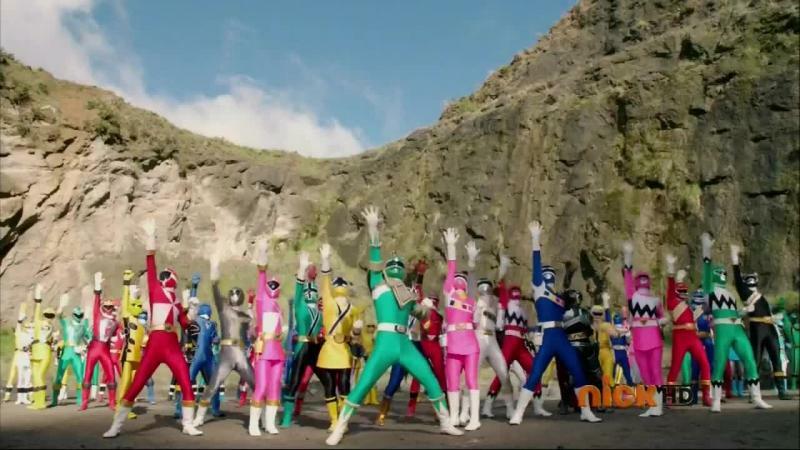 And we didn’t even see Gosei or Tensou. WTF. 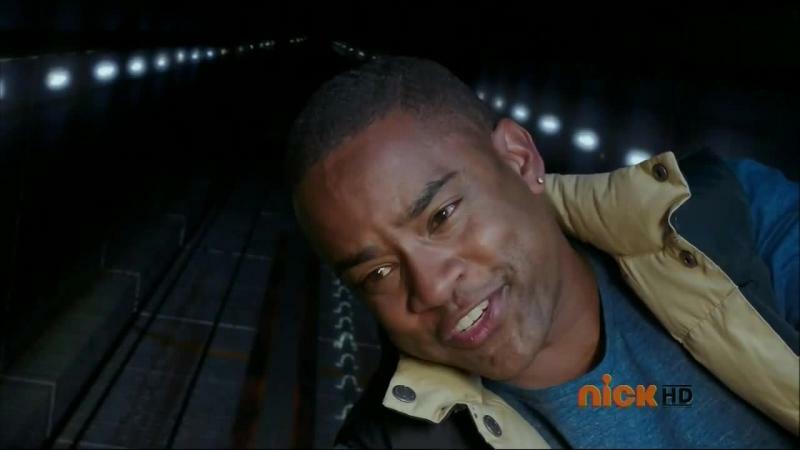 The Rangers laying in that quarry would’ve been a fine ending… had they actually gone through some huge 40 episode battle to deserve a quiet moment of peace. But they didn’t. It came off as awkward and meaningless. Like pretty much every other win of theirs this season. What, no Antonio and Mia concert to go to celebrate at? ← The Amazing Race Philippines 2, Leg 7 Wrap-Up – "Hindi ako maarte!" It really was a huge missed opportunity.